Kate Thornhill ’16 M.A.T. teaches her elementary school class. Randolph College is one of 16 schools from 10 states and the District of Columbia earning national accreditation for its educator preparation programs this year. The Council for the Accreditation of Educator Preparation (CAEP) recently announced the decision. The spring 2017 review by the CAEP Accreditation Council increased to 50 the total number of providers approved under the CAEP teacher preparation standards—rigorous, nationally recognized standards that were developed to ensure excellence in educator preparation programs. 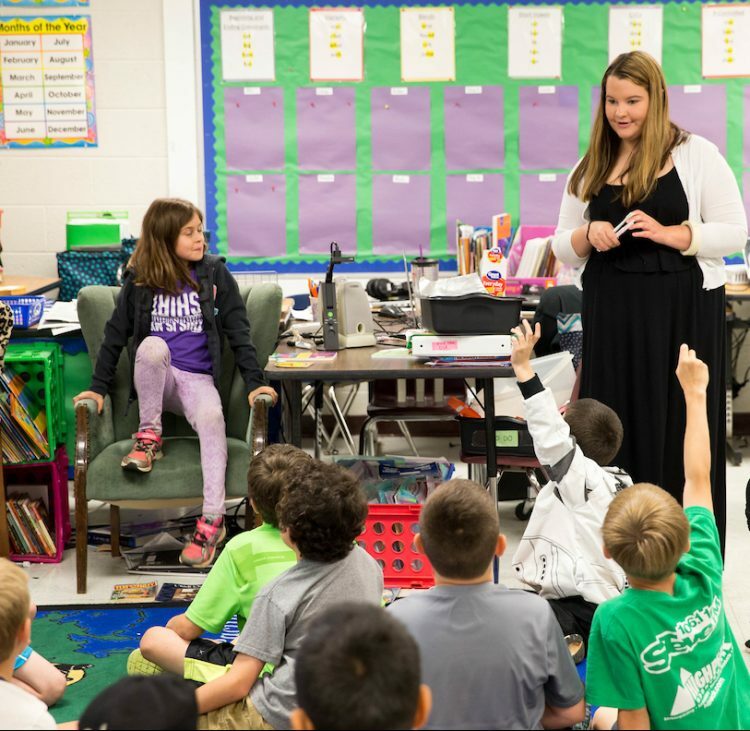 Randolph College’s Master of Arts in Teaching (M.A.T.) program is an affordable graduate, hands-on program that prepares its students to teach in one year. M.A.T. candidates learn to teach through authentic experiences in schools and on campus taught by experienced and qualified faculty. In 2016, Randolph’s M.A.T. program had a 100 percent job placement rate. 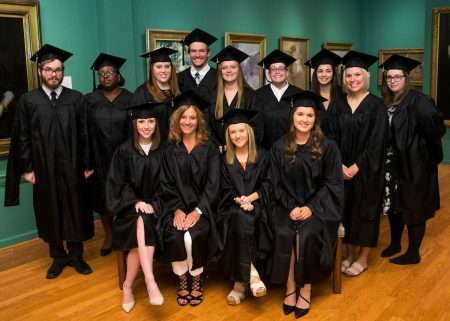 “Randolph graduates are strong in content knowledge and in knowing how to use research to provide a rich learning environment, and lead schools to meet the educational needs of all students,” said Randolph education professor Peggy Schimmoeller. “Moreover, our candidates work to promote equitable practices. The CAEP commissioners verified the we offer a quality program that is enriched by multiple community partnerships, and that our candidates improve student achievement when they complete our program and enter classrooms. CAEP is the sole accrediting body for educator preparation. Accreditation is a nongovernmental activity based on peer review that serves the dual functions of assuring quality and promoting improvement. CAEP was created by the consolidation of the National Council for Accreditation of Teacher Education and the Teacher Education Accreditation Council. It is a unified accreditation system intent on raising the performance of all institutions focused on educator preparation. Currently, more than 800 educator preparation providers participate in the CAEP accreditation system, including many grandfathered into accreditation under former standards. For more information about Randolph’s M.A.T. program, please visit http://www.randolphcollege.edu/teach/. For more information about CAEP and accreditation requirements, visit www.CAEPnet.org.